Jiménez E, Vega JA, Fernández-Alonso JM, Vega-Nieva D, Ortiz L, López-Serrano PM, López-Sánchez CA (2017). Estimation of aboveground forest biomass in Galicia (NW Spain) by the combined use of LiDAR, LANDSAT ETM+ and National Forest Inventory data. iForest 10: 590-596. Assessing biomass is critical for accounting bioenergy potentials and monitoring forest ecosystem responses to global change and disturbances. Remote sensing, especially Light Detection and Ranging (LiDAR) data combined with field data, is being increasingly used for forest inventory purposes. We evaluated the feasibility of the combined use of freely available data, both remote sensing (LiDAR data provided by the Spanish National Plan for Aerial Ortophotography - PNOA - and Landsat vegetation spectral indices) and field data (from the National Forest Inventory) to estimate stand dendrometric and aboveground biomass variables of the most productive tree species in a pilot area in Galicia (northwestern Spain). The results suggest that the models can accurately predict dendrometric and biomass variables at plot level with an R2 ranging from 0.49 to 0.65 for basal area, from 0.65 to 0.95 for dominant height, from 0.48 to 0.68 for crown biomass and from 0.55 to 0.82 for stem biomass. Our results support the use of this approach to reduce the cost of forest inventories and provide a useful tool for stakeholders to map forest stand variables and biomass stocks. Temporal variations and distribution of carbon stocks in aboveground of radiata pine and maritime pine pure stands under different silvicultural alternatives. Forest Ecology and Management 237: 29-38. Conditioning diagnostics, collinearity and weak data regression. Wiley Series in Probability, John Wiley and Sons, New York, USA, pp. 396. Statistical modeling: the two cultures. Statistical Science 16: 199-301. Model selection and inference. Springer-Verlag, New York, USA, pp. 515. Forest fires in Galicia (Spain): threats and challenges for the future. Journal of Forest Economics 13: 1-5. Integration of airborne LiDAR and vegetation types derived from aerial photography for mapping aboveground live biomass. Remote Sensing of Environment 121: 108-117. Lidar remote sensing of vegetation biomass. In: “Remote Sensing of Natural Resources” (Weng Q, Wang G eds). CRC Press, Taylor and Francis Group, Boca Raton, FL, USA, pp. 399-420. Estimation of above-ground biomass using Landsat ETM+, Aster GDEM and LiDAR. Forest Research 3: 117. Estimation of biomass and volume of shrub vegetation using LiDAR and spectral data in a Mediterranean environment. Biomass and Bioenergy 46: 710-721. Modelling canopy fuel variables in Pinus pinaster Ait. and Pinus radiata D. Don stands in Northwestern Spain. Annals of Forest Science 70: 161-172. Estimation of stand variables in Pinus radiata D. Don plantations using different LiDAR pulse densities. Forestry 85: 281-292. Modelling stand biomass fractions in Galician Eucalyptus globulus plantations by use of different LiDAR pulse densities. Forest Systems 22: 510-525. Mapping fire risk in the model forest of Urbión (Spain) based on airborne LiDAR measurements. Forest Ecology and Management 282: 149-156. A soil-adjusted vegetation index (SAVI). Remote Sensing of Environment 25: 259-309. Biomass and NPP estimation for the mid-Atlantic Region (USA) using plot level forest inventory data. Ecological Applications 11: 1174-1193. Estimating aboveground biomass in interior Alaska with Landsat data and field measurements. International Journal of Applied Earth Observation and Geoinformation 18: 451-461. Allometric equations for estimating canopy fuel load and distribution of pole-size maritime pine trees in five Iberian provenances. Canadian Journal of Forest Research 43: 149-158. Derivation of leaf area index from quality of light in the forest floor. Ecology 50: 663-666. Stratified aboveground forest biomass estimation by remote sensing data. International Journal of Applied Earth Observation and Geoinformation 38: 229-241. Above ground biomass estimation in an Africa tropical forest with LiDAR and hyperspectral data. ISPRS Journal of Photogrammetry and Remote Sensing 89: 49-58. From TLS to VLS: biomass estimation at individual tree level. Remote Sensing 2: 1864-1879. A feedback based modification of the NDVI to minimize canopy background and atmospheric noise. IEEE Transactions on Geoscience and Remote Sensing 33: 457-465. Estimating biomass of mixed and unevenaged forests using spectral data and a hybrid model combining regression trees and linear models. iForest - Biogeosciences and Forestry 9 (2): 226-234. 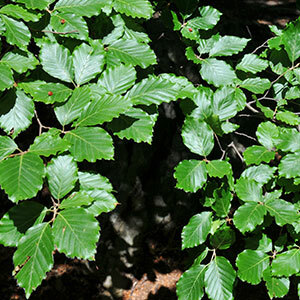 A multiscale analysis of canopy structure in Fagus sylvatica L. and Quercus cerris L. old-growth forests in the Cilento and Vallo di Diano National Park. Plant Biosystems 144 (1): 202-210. Inference for lidar-assisted estimation of forest growing stock volume. Remote Sensing of Environment 128: 268-275. Nutrient exports under different harvesting regimes in fast-growing forest plantations in southern Europe. Forest Ecology and Management 207: 325-339. Model-assisted regional forest biomass estimation using LiDAR and InSAR as auxiliary data: a case study from a boreal forest area. Remote Sensing of Environment 115 (12): 3599-3614. Landsat 7 science data users handbook. Landsat Project Science Office, NASA Goddard Space Flight Center, Greenbelt, MD, USA, pp. 186. Assessing general relationships between aboveground biomass and vegetation structure parameters for improved carbon estimate from vegetation lidar. Journal of Geophysical Research 115 (G2): 2156-2202. Estimation of forest resources from a country wide laser scanning survey and national inventory data. Remote Sensing of Environment 119: 148-157. Improvement in accuracy of aboveground biomass estimation in Eucalyptus nitens plantations: effect of bole sampling intensity and explanatory variables. Forest Ecology and Management 261: 2016-2028. Monitoring vegetation system in the great plains with ERTS. In: Proceedings of the “3rd ERTS Symposium”. NASA SP-351, NASA, Washington, DC, USA, pp. 309-317. SLC gap-filled products, phase one methodology. Landsat Technical Notes, pp. 5. Low-density LiDAR and optical imagery for biomass estimation over boreal forest in Sweden. Forests 5: 992-1010. Correcting for bias in log-transformed allometric equations. Ecology 64: 209-210. LiDAR remote sensing of forest biomass: a scale-invariant estimation approach using airborne lasers. Remote Sensing of Environment 113: 182-196.